On my return to England, I am returning to live in the Royal County of Berkshire. Berkshire earns the designation ‘Royal’ as it is home to Queen Elizabeth II who lives at Windsor Castle in Windsor. She has other residences too, Buckingham Palace in London, Balmoral in Scotland and Sandringham in the English countryside of Norfolk. 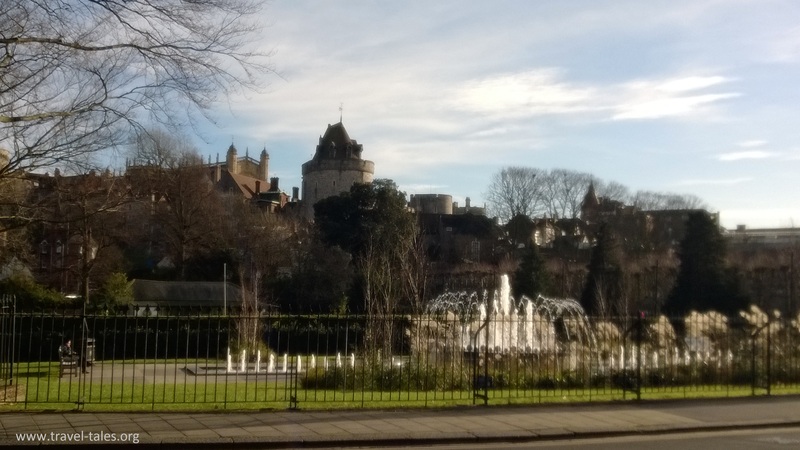 The people of Windsor consider ‘their’ castle as the main residence, Windsor is after all the surname adopted by a number of members of the royal family. There are guided tours around the castle, on my most recent visit I limited myself to walking around the castle walls. Usually the Thames which separates Windsor from Eton, is a side attraction to the town. On the day I visited, it was rather flooded. The path at river level was under water with Swans are swimming along around the litter bins, fortunately the road and its pedestrian pavement is a level higher, so I could still stroll along the river from and back to the car park.